Si Holidays, one of Australia’s largest independent wholesale travel companies, has today announced the launch of its first Rosie Holidays destination brochure. 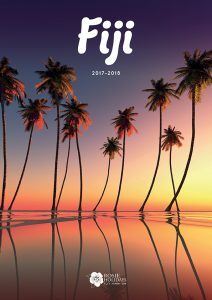 The new Fiji brochure for 2017-2018 features two brand new properties on Kadavu Island and in Momi Bay, as well as Fiji’s best experiences and accommodation options for couples, families and wedding parties. “Fiji remains one of the most popular short-haul destinations for Australians, and demand is very consistent not only in attracting first-time travellers, but also for those making regular visits,” said Tui Eruera, Managing Director, Si Holidays. “The proximity to Australia is certainly part of the appeal, but also the ability to book last-minute flights at competitive prices,” he said. The brochure includes Fiji’s newest and most exclusive private island resort, Kokomo Island Fiji, which officially opened early this year. Developed by Australian billionaire Lang Walker, the island sanctuary is spread across 140 acres and is surrounded by lush rainforest and white sand beaches. Also featured is the brand-new Fiji Marriott Resort Momi Bay – a stunning resort on the western coast of Viti Levu with unique over-water Bure Villas and stunning views of the pool, lagoon and ocean – which opened in April. “We’re always on the lookout for new properties and experiences to include in our brochures, so we’re excited to be able to add these world-class hotels to the inventory for Rosie Holidays,” said Eruera. Short tours, wedding locations, cruises and island hopping are also available as part of the 2017-2018 brochure, which is now available to order through TIFS or to view on the siholidays.com.au website.